Pinto beans are another healthy standby whose antioxidant power has only recently come to be appreciated. According to the United States Department of Agriculture, pinto beans have more antioxidant power than domestic blueberries. Carbohydrates: Starchy Vegetables 85 Of course, they�re also a great source of fiber, carbohydrate, protein, and minerals, including potassium, magnesium, and molybdenum, as well as folate. All this makes them particularly good at lowering the risk of some common chronic diseases, particularly heart disease and diabetes. Their soluble fiber lowers cholesterol; the folate helps reduce the risk of heart attack; and magnesium and potassium help regulate blood pressure. Molybdenum helps break down sulfites and may assist in antioxidant activities. Like other beans, pinto beans combine with whole grains to provide complete protein, and their high fiber and protein content mean that their carbohydrate content is released relatively slowly into the bloodstream, which gives them a low glycemic index. One-half cup of cooked pinto beans provides 126 calories, 22 g carbohydrate, 7 g protein, 0.9 g fat, 7.4 g dietary fiber, 1.5 IU vitamin A, 2 mg vitamin C, 147 mcg folic acid, 137 mg phosphorus, 41 mg calcium, 2.2 mg iron, 47 mg magnesium, and 0.93 mg zinc. The potato is an incredibly healthy food that has gotten a bad reputation, largely because it can be prepared in ways that counteract its benefits. Baked and served in its skin, a potato is a surprisingly good source of vitamin C, as well as potassium, fiber, vitamin B6 and other B vitamins, copper, manganese, and even some lutein. The key to getting the Benefits of potatoes is to eat them baked rather than fried. But if you are absolutely having a French fry craving, go ahead and LIVIT� enjoy a few to satisfy the craving and to help prevent overloading on them when the craving gets out of control. One medium-large potato with skin provides 220 calories, 51 g carbohydrate, 4.6 g protein, 4.8 g dietary fiber, 26 mg vitamin C, 3.3 mg niacin, 22 mcg folic acid, 1.12 mg pantothenic acid, 844 mg potassium, 16 mg sodium, 115 mg phosphorus, 20 mg calcium, 2.75 mg iron, and 55 mg magnesium. Pumpkins are closely related to squash and, like squash, have lots of alpha- and beta-carotenes and vitamin A, as evidenced by their rich orange color. Pumpkin also provides many of the B vitamins, including folate; some vitamin C; and the electrolyte minerals calcium, magnesium, and potassium. One cup of cooked mashed pumpkin also contains 2,484 mg of lutein. High in fiber, pumpkin is also somewhat sweeter than many other squashes, which allows it to be used in both sweet and savory dishes. One cup of boiled, drained, and mashed pumpkin provides 49 calories, 12 g carbohydrate, 1.8 g protein, 0 g fat, 2.7 g dietary fiber, 12230 IU vitamin A, 11.5 mg vitamin C, 1 mg niacin, 22 mcg folic acid, 0.5 mg pantothenic acid, 564 mg potassium, 2 mg sodium, 74 mg phosphorus, 37 mg calcium, 1.4 mg iron, and 22 mg magnesium. Although quinoa may be unfamiliar to North Americans, it was a staple food for the Incas and has been grown in the Andes for more than 5,000 years. Technically a �pseudocereal,� quinoa is often considered a grain, even though it is not a grass. It is more closely related to beets and spinach. Unlike wheat and other grains, it is gluten- free, but it can be substituted for grain in most recipes. Although primarily a carbohydrate, quinoa is relatively high in protein�one cup of cooked quinoa contains about 8 grams of protein�and it contains all of the essential amino acids. A good source of magnesium, manganese, and calcium, quinoa also provides vitamin B2, vitamin E, iron, phosphorus, copper, and zinc. It is higher in fat than many true grains. Quinoa is a source of oxalates, which may cause problems for those with a history of kidney stones or other conditions that require a low-oxalate diet. The outside of raw quinoa is covered with saponins, which were traditionally used as a diuretic and laxative. If you don�t want these effects, be sure to rinse your quinoa before cooking it. One cup of cooked quinoa provides 222 calories, 39.4 g carbohydrate, 8.1 g protein, 3.6 g fat, 5.2 g dietary fiber, 1 mg sodium, 281 mg phosphorus, 2.76 mg iron, and 0.2 mg riboflavin. Small red beans have never been as well-known as their larger and meatier cousin, the red kidney bean. But they stepped into the spotlight in 2007 when the USDA discovered that small red beans had the highest antioxidant activity of all the foods tested. Because many antioxidants are contained in plant pigments, it stands to reason that these small, dark-red beans would be a rich source of them. But scientists were surprised when these beans stole the show�small red beans showed higher antioxidant activity than wild blueberries. Research at Colorado State University confirms that the phenol and anthocyanins that give bean coats their color have antioxidant properties and posits that there is a link between a darker seed coat and higher phenol levels. Carbohydrates: Starchy Vegetables 91 Beans have long been known for their fiber, protein, and minerals, as well as their antioxidant properties. Small red beans are also a good source of phosphorus, magnesium, zinc, and B vitamins. One-half cup of canned small red beans provides 100 calories, 17 g carbohydrate, 6 g protein, 0.5 g fat, 5 g dietary fiber, 39 mg calcium, and 65 mg sodium. Sweet potatoes have been cultivated for more than 5,000 years. Originally from South America, sweet potatoes are now grown all over the world. Rich in fiber, protein, vitamins A and C, and the minerals iron and calcium, sweet potatoes are also packed with carotene and anthocyanins�the powerful antioxidants. The Center for Science in the Public Interest ranked the baked sweet potato the most nutritious of all vegetables with a score of 184. That�s 100 points higher than the runner-up, the baked white potato. One medium sweet potato baked with skin provides 117 calories, 27.7 g carbohydrate, 2 g protein, 0.1 g fat, 3.4 g dietary fiber, 24877 IU vitamin A, 28 mg vitamin C, 26 mcg folic acid, 397 mg potassium, 11 mg sodium, 63 mg phosphorus, 32 mg calcium, and 23 mg magnesium. Tomatoes are the number one source of lycopene in the American diet, and cooking them makes this vital antioxidant up to four times more bioavailable, so tomato paste is actually higher in usable lycopene than fresh tomatoes. Just a tablespoon of tomato paste contains 4,602 mcg of lycopene. 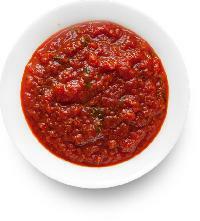 Tomato paste is also a surprisingly good source of fiber and protein, vitamins A and C, and potassium. One-half cup of canned tomato paste provides 107 calories, 25.3 g carbohydrate, 4.8 g protein, 0.7 g fat, 5.4 g dietary fiber, 3203 IU vitamin A, 56 mg vitamin C, 4.2 mg niacin, 29 mcg folic acid, 1227 mg potassium, 115 mg sodium, 103 mg phosphorus, 46 mg calcium, 2.54 mg iron, 67 mg magnesium, 1.05 mg zinc, and 0.68 mg manganese. Winter squash have that name because they kept well and were able to provide a source of vegetable nutrition through the winter before the era of refrigeration. Most winter squash are harvested in the autumn, by which time they have matured to have a hard rind. (Indeed, it used to be traditional to cut winter squash with the axe used to trim firewood!) Some winter squash have already been listed individually earlier in this chapter� acorn squash, butternut squash, and pumpkin. Other winter squash include the buttercup, delicata, Hubbard, candy roaster, Lakota, Arikara, and spaghetti squash. Most varieties are good sources of beta-carotene, the B vitamins (including folate), vitamins A and C, potassium, copper, and fiber. One-half cup of baked winter squash provides 40 calories, 8.9 g carbohydrate, 0.9 g protein, 0.6 g fat, 2.9 g dietary fiber, 3628 IU vitamin A, 10 mg vitamin C, 0.7 mg niacin, 29 mcg folic acid, 446 mg potassium, 20 mg phosphorus, 14 mg calcium, and 8 mg magnesium. Yams are a good source of vitamins B6 and C and the minerals potassium and manganese, as well as dietary fiber. Vitamin B6 is instrumental in breaking down homocysteine, lowering the risk of heart attack. 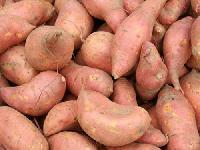 The potassium and fiber in yams help control blood pressure. Yams have a lower glycemic index than true potatoes. Some types of yams contain a steroid, diosgenin, that has been used by the pharmaceutical industry to synthesize human hormones, including cortisone, estrogen, and progesterone, but the body has not been shown to convert this steroid on its own. Still, there are some intriguing hormone connections. In studies on rats, the starch from Chinese yams has shown promise in reducing the levels of cholesterol and triglycerides in the blood. One-half cup of baked yams provides 79 calories, 18.8 g carbohydrate, 1 g protein, 0.1 g fat, 2.7 g dietary fiber, 8 mg vitamin C, 11 mcg folic acid, 456 mg potassium, 5 mg sodium, 33 mg phosphorus, 10 mg calcium, and 12 mg magnesium. Yellow wax beans, like green (snap) beans, are immature bean pods eaten as a vegetable. While it is possible to eat the young pods of nearly any common bean, special varieties have been developed that produce a succulent, fleshy young pod. Yellow beans are a good source of lutein, beta-carotene, and vitamin A, so they are good for vision health. Lutein and beta-carotene have antioxidant effects that may help slow the effects of aging and prevent some cancers. Vitamin A may also be involved in maintaining epithelial cells�the cells that line the digestive tract and lungs. There is also a purple wax bean that may one day prove to be a good source of anthocyanins. One-half cup of cooked yellow wax beans provides 92 calories, 4.9 g carbohydrate, 1.2 g protein, 0.17 g fat, 2.1 g dietary fiber, 51 IU vitamin A, 6.1 mg vitamin C, 21 mcg folic acid, 187 mg potassium, 2 mg sodium, 24 mg phosphorus, 29 mg calcium, 0.8 mg iron, 16 mg magnesium, and 0.23 mg zinc.